Proper installation of rain gutters and downspouts can protect your home from rainwater damage to the exteriors of your property. If you are looking for a reputed company for reliable gutter installation services, we can help. If you are not sure of the type of gutters that are best for your property, you can consult our experts. 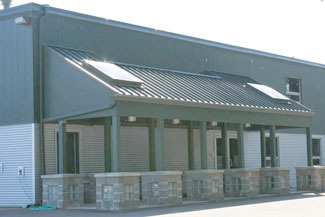 Based on your requirements and your budget, they will recommend the best quality rain gutters. If you want to know about the rain gutter installation cost then you can talk to our consultants. Whenever you search for a reliable company for gutter installation near me, think of us. There is no denying the fact that rain gutters are essential to protect properties from rainwater damage. However, as these gutters and downspouts have to withstand all weather conditions, they need to be of the best quality. Whatever the make, model and size of the rain gutters, we can handle them. Our skilled and trained technicians are thoroughly equipped and will provide timely services whether you need installation, repair or cleaning. 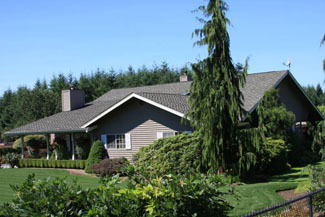 Why Choose Us for Gutters and Downspouts in Bonney Lake? When it is about the health and safety of your family and home, you want the best people in the business to handle the job. As there are so many companies offering services for gutters and downspouts in Bonney Lake, choosing the best can be a challenging task. We are the ideal company to choose for services related to gutters and downspouts in Bonney Lake as we qualify on all these aspects. 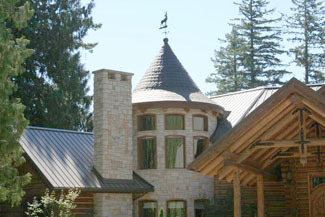 Feel free to call Johnson Exteriors at (360) 226-2521 for any services related to gutter installation in Bonney Lake. Our representatives will help you and guide you further.